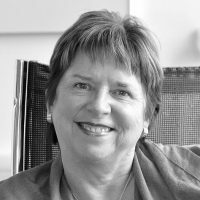 Dame Wendy Hall is the Regius professor of Computer Science at the University of Southampton, England. She was part of a team that invented the Microcosm hypermedia system, a precursor to the World Wide Web, while working at the University of Southampton in the mid-1980s. In 2017, Wendy Hall and Jérôme Pesenti carried out an independent review on Growing the artificial intelligence industry in the UK for the British government.